Clear intestinal Heat, moisten stool, promote bowel movement. Use for chronic constipation due to heat, deficiency of fluid and deficiency of blood. Helpful in chronic constipation due to older age, weakness, postpartum or during a fever. This is an excellent prescription for treating chronic constipation. The seed of Persica acts to break up and lubricate stool impactions. Also helps to treat constipation due to heat. Clear intestinal Heat, moisten stool, promote bowel movement. Use for chronic constipation due to heat, deficiency of fluid and deficiency of blood. 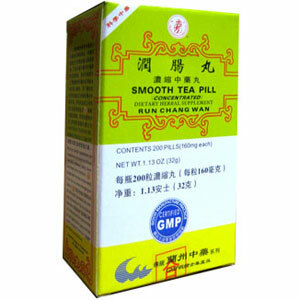 Helpful in chronic constipation due to older age, weakness, postpartum or during a fever. Reduce dosage or discontinue if diarrhea develops. Prohibited during pregnancy. Do not take if you are pregnant or nursing.